Notes: One of two styles Hemingray made with the Barclay patent for spiral groove. Patented October 8, 1907 - Patent No. 867,901. * Style scarcity listing is in the context of Hemingray units. The CD 150 was also made by Brookfield and are quite uncommon. 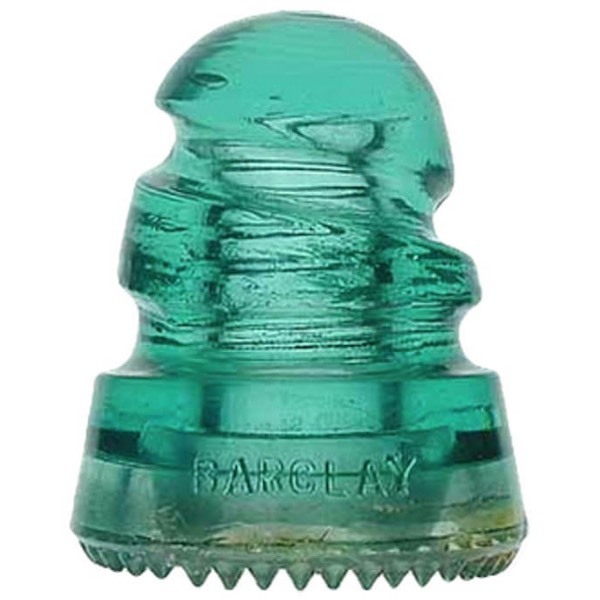 The Hemingray unit is the only insulator to be marked Barclay. (FS) BARCLAY (RS) PATENTED OCT. 8 1907.